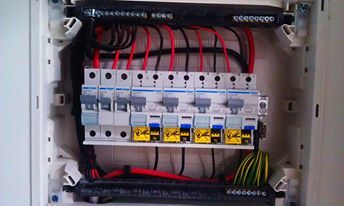 Ecoelectric can upgrade your switchboards or meter box and perform repairs on old metering enclosures. We can also provide new switchboards of any type up to 400A per phase. Our switchboards are manufactured by leading providers such as ABB or Hagar B&R thereby ensuring low maintenance in the future and assured regulatory and safety compliance. We can accommodate tariff and relay changes during the changeover of the switchboard and ensure that loss of supply is of as short duration as possible and timed to your requirements. We can also arrange generator backup during changeovers. Ecoelectric can help you to solve loading problems and metering configuration changes. We can take care of connection points and service risers and we will liaise with the supply authorities to complete your upgrade as fast as possible. Metering configuration changes such as adding or removing tariff meters or relays. Adding metering or installing private sub metering on boards or individual circuits. Energex have a rewards program for switching to economy tariffs and more energy efficient equipment, particularly for those used in peak demand periods. Ecoelectric can help with the metering and configuration of your swimming pool, hot water system or air conditioner electrics so that you can take advantage of these bonuses. Do you require a new switchboard for your home or facility? Request a free quote for a meter box or switchboard upgrade or purchase one directly through our online store. Are you looking for a commercial or industrial board designed to your specific requirements? Contact us for a detailed design and quotation tailored to your needs.